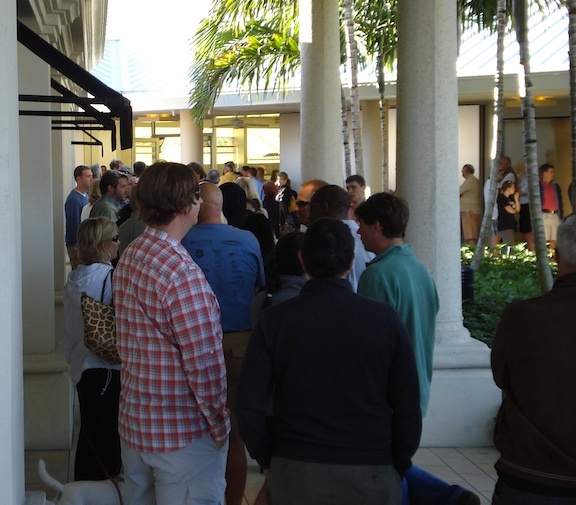 This was the scene at 5:15 p.m. down the walkway from the Apple store in Naples, Florida. That’s the end of the line in the shot below. You can see the Apple Store in the background. 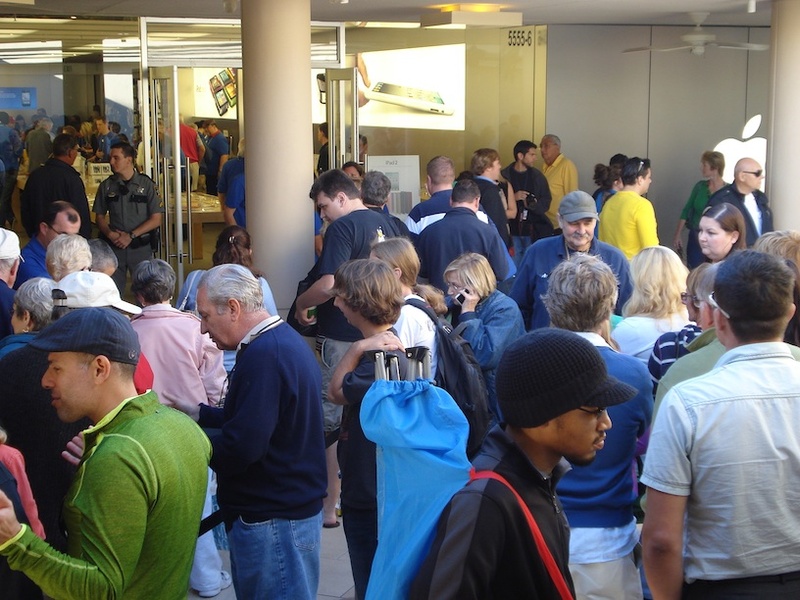 The line was long but Apple had plenty of staff on hand to manage and assist eager customers. Several came prepared with folding chairs for the wait and Apple provided free drinks just outside the doors to make the time on line more pleasant. Here’s the scene in front of the store. 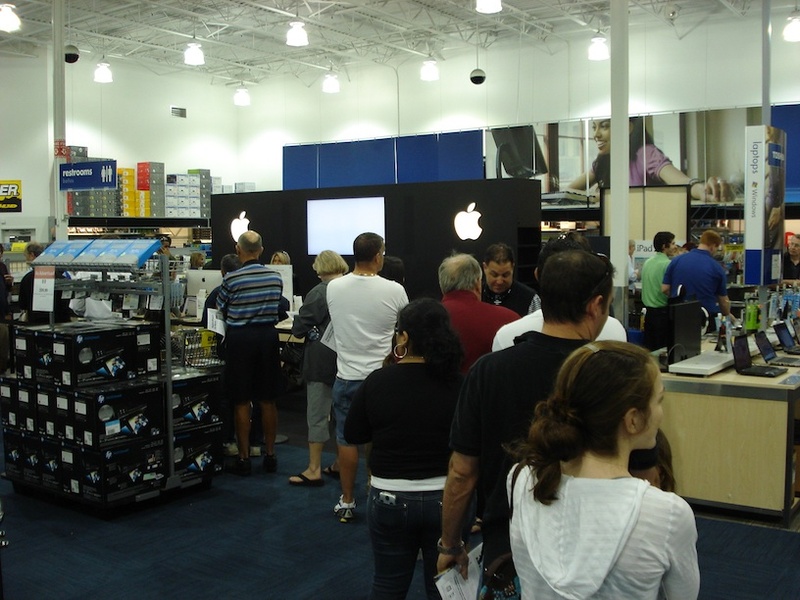 The line at the local Best Buy (5:40) was much shorter, but so was the supply of iPads I’m sure. Customers wound around the Apple display on the left and were checked out at a register off camera on the right. A friendly store employee working the line showed me a small stack of flyers used as tickets for the line. He told me anyone getting one of these flyers was guaranteed to get an iPad, though it wasn’t clear to me if you’d get the model you desired. Did I take advantage of the much shorter line at Best Buy to get my new iPad? Uh, no. Want to get mine at the Apple Store if I can and time with family comes first tonight (visiting here). Will return to Apple Store early in the morning to try my luck. Hope they save one for me! 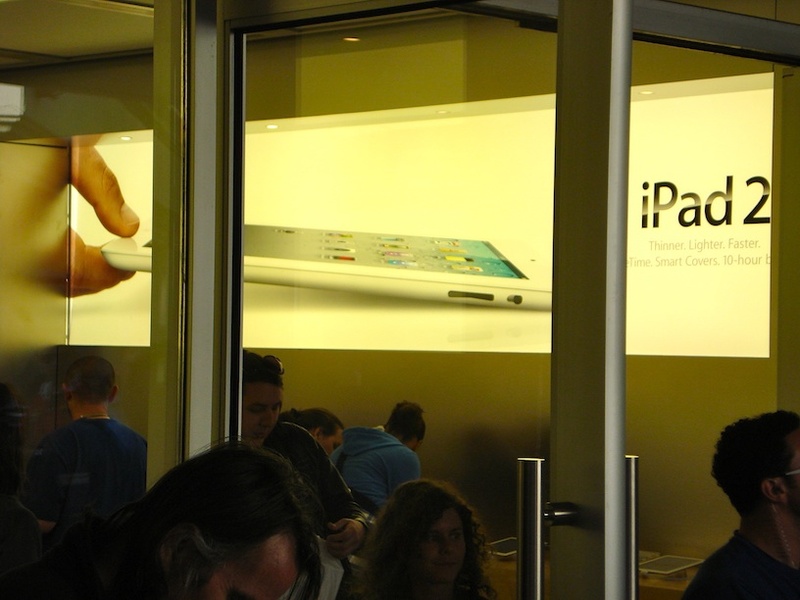 ← iPad 2 Arrives Friday, Apple Surprises with Early iOS 4.3! 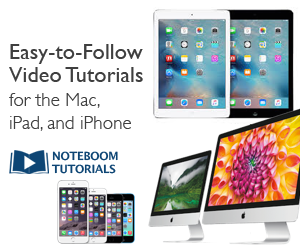 New Version Available Now.